The Ukraine referendum is cynical, manipulative and all about fake democracy – so not something we should be voting in, writes DutchNews.nl editor Robin Pascoe. 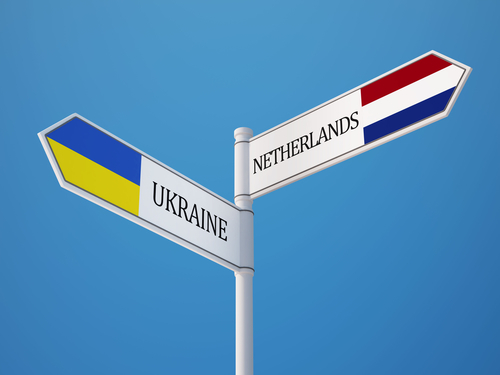 Tomorrow (April 6) the Dutch will be able to vote in a referendum on the EU’s treaty of association with Ukraine. The vote is only open to Dutch nationals and the result of the referendum is only advisory – and it won’t have any official weight unless 30% of the electorate turn out. The Netherlands has, after all, already said it backs the treaty. So what is tomorrow’s vote really all about? The referendum on Ukraine is not about the treaty. It is about testing Dutch public opinion on the EU in general. The campaign for a referendum was driven by anti-EU campaigners who have admitted they want to put pressure on the relationship between the Netherlands and the EU and deliberately looked for an issue they could use. ‘We really don’t care about Ukraine, you need to understand that,’ Arjan van Dixhoorn, professor of history at Utrecht University College Roosevelt and chairman of the Burgercomite EU, told the NRC newspaper last week. ‘We waited two years for the referendum law to come into force,’ said committee member Pepijn van Houwelingen who works for the government’s social policy unit SCP. And all this time we have been thinking it’s about Ukraine. That this was the reason Ukrainian students and dozens of others have been over here campaigning. That this is why thousands of words have been written and millions of euros of taxpayers’ money have been spent. No. The reality is that a bunch of smart arses with government-funded jobs thought it a good idea to force a referendum on something which has already been decided. No doubt these same people will shortly rev up a campaign for votes for a real Nexit referendum. It is nasty and manipulative – a prank pulled by arrogant, clever people who refused to appear on the NRC’s photograph and said they did not want their jobs made public because they are acting in a private capacity. No, I don’t think they should get into trouble at work because of their actions, but I do think they should have the guts to show their faces to the world. As someone who has paid taxes in the Netherlands for 30 years but has no vote, I am outraged that my money is being so cynically used: that the referendum committee approved some idiot’s application to spend nearly €50,000 printing toilet paper with anti-Ukrainian statements. That private companies were given similar amounts to hand out biscuits to members of the public. This referendum is about fake democracy and, by voting in it, we are perpetuating the myth that there is some kind of check over the excesses of government and giving credence to the deliberate manipulation of millions of people. We should not be playing into the hands of the people who made this referendum a reality, even if over 400,000 people signed a petition to make sure it was held. If we want to debate a Nexit, let us do it openly and honestly, not by the back door and by wasting taxpayers’ money. This referendum is part of a cynical game. We should not give it the 30% turnout its supporters need.